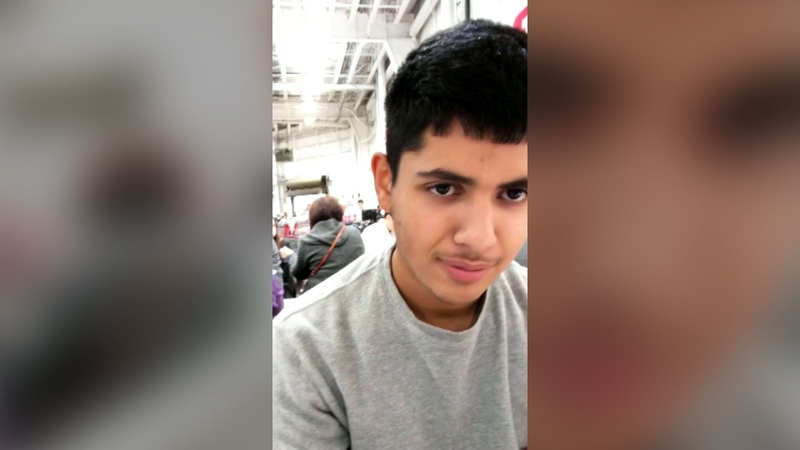 Investigators have named the Hamilton paramedics charged with failing to provide the necessities of life when responding to the shooting death of 19-year-old Yosif Al-Hasnawi last December. Al-Hasnawi was shot to death on December 2, 2017 after intervening in a dispute between two young men and an older man, police said. When paramedics arrived at the scene of the shooting they said they thought Al-Hasnawi was “acting,” his father said at the time. The teen was pronounced dead in hospital a short time after he was transported. Immediately following the incident, Hamilton paramedics asked the provincial ministry of health to conduct an investigation into the matter. On December 27, 2017, Hamilton police said they asked Niagara Regional Police Service to conduct a criminal investigation into the emergency medical care provided to the teen at the scene of the fatal shooting. Niagara Regional Police say that on Wednesday, 53-year-old Steven Snively of Hamilton was arrested. On Thursday, 29-year-old Christopher Marchant of Whitby was arrested. Both men were released on a promise to appear in Hamilton court on Sept. 11 at 9 a.m. Both have been on paid administrative leave, their union said. Niagara Regional Police Chief Bryan MacCulloch says police interviewed 60 witnesses as part of their investigation. Acting Hamilton Paramedic Services Chief Russell Crocker said he is still conducting an internal review into the incident, but the criminal charges have put his service on edge. The Hasnawi family is also suing Hamilton Paramedic Services, Hamilton police, and St. Joseph’s Hospital for $10 million. A friend of the family told CTV News that they feel a sense of justice now that charges have been laid, but saidthe family is still concerned about the time it took for police to come to this decision. “I understand they had a thorough investigation they had to work on but at the same time, there were statements from many people apart of the community, part of the family, bystanders and people in the neighbourhood who all said the same thing,” Firas Al-Najim said. He later told CP24 he had spoken with Al-Hasnawi’s father about the charges being laid. Al-Najim said the disregard first responders showed extended beyond what was first reported. The father reportedly told paramedics his son was a medical student and a boxer who didn’t use drugs. Al-Najim said the family is disappointed that the union representing paramedics is siding with the pair who were charged. OPSEU local 256 President Mario Posteraro, who escorted both defendants to the police station to turn themselves in to be charged, disputed the characterization of the incident and his members’ conduct that night. “There was an assertion that there was a pellet gun involved,” Posteraro said, echoing what others had said of the initial response. “Upon assessment and the patient’s condition, it wasn’t consistent, the paramedics felt, from a critical clinical perspective, that he had been shot with a .22 (caliber firearm. ),” Posteraro said. Al-Hasnawi was eventually taken to St. Joseph’s Hospital, not Hamilton General, which is the city’s primary destination for victims of gunfire. “St. Joe’s is a very capable trauma centre, it’s the backup trauma centre. St. Joe’s was notified of the paramedics coming in when the patient’s condition deteriorated, and unfortunately the outcome was not positive. But that doesn’t mean that a negative outcome should result in criminal charges,” Posteraro said. He said the paramedics accused in this incident had great service records. Posteraro said he is working to secure legal counsel for both men — paid for by the union — in time for their next court appearance next month. Two men, Dale Buringsky King, 19, and James Anthony Robert Matheson, 20, have been charged in connection with the death of Al-Hasnawi. Both men are from Hamilton. King has been charged with second-degree murder and Matheson has been charged with accessory after the fact. Christopher Marchant, 29, is shown in an image from his Twitter account.